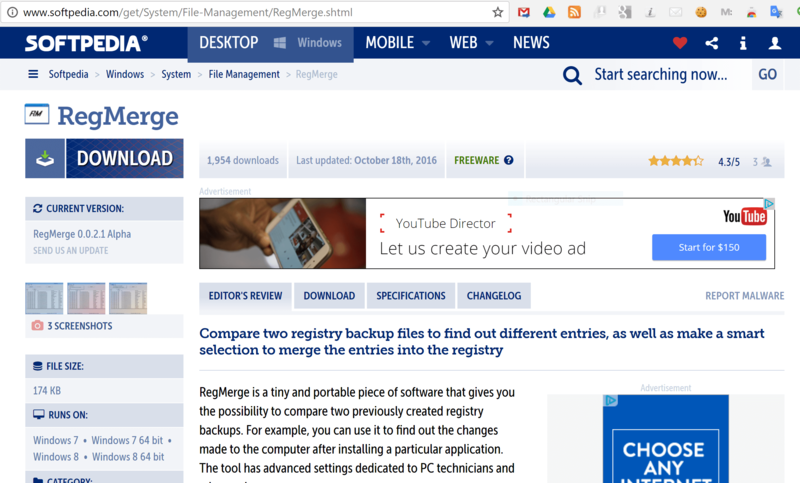 Softpedia’s listing of RegMerge is linked to below. We have always supported Softpedia because they offer bundle-free downloads. No mess or fuss. I do caution that RegMerge is just one of many side-projects of mine, and is still in ALPHA state. As a registry tool, I really have to make it 100% before I would dare not warn users that it is unfinished. That said, generally, it works well, but there are no guarantees at this stage, and if you are unlucky enough to be some rare edge case, you may have issues. Note that our famous Single-click Bitsum Updater is now included in RegMerge.